Acetone is a type of ketone which has the formula C3H6O or CH3COCH3. Acetate is a type of anion which has the formula CH3COO-. Acetone is a type of ketone molecule, and it is a chemical which has the molecular formula CH3COCH3. This chemical is a molecule that is called a ketone and it is found as a liquid which has no color. The molecular weight of acetone is 58.08 grams per mol, and the substance has a fruity smell that is very distinctive and acetone is also known to be flammable. 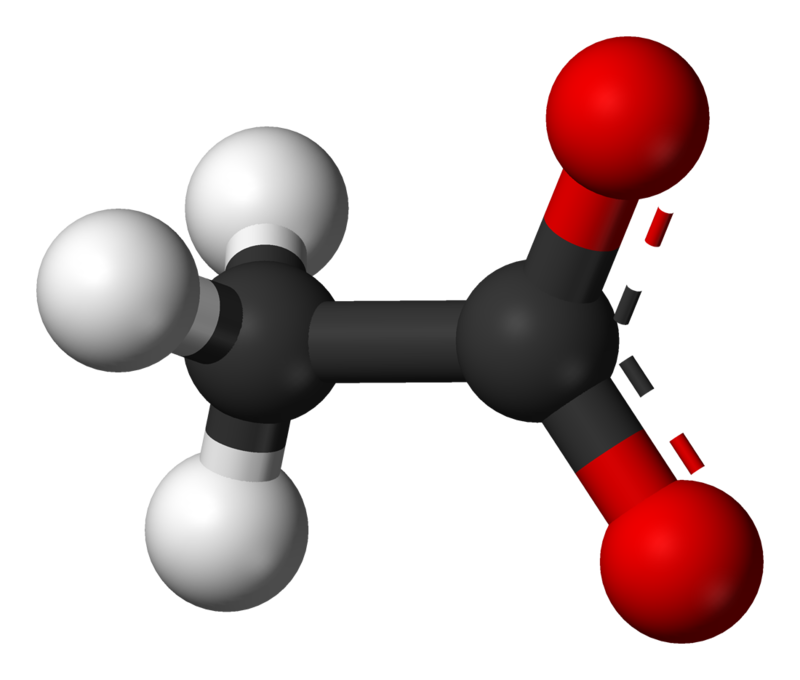 Acetone can be formed artificially through a special process that is called the cumene hydroperoxide process. We can also make acetone in our body when fats are broken down and converted to ketone bodies. People with poorly controlled diabetes may experience ketoacidosis which can be very dangerous if not corrected quickly. There are many uses for acetone, but one that most people are familiar with is as an ingredient in nail polish remover. The acetone has good properties as a solvent and is thus also useful in removing paint or ink. It is also sometimes used in industry to make certain types of fibers. It does have some ability to stop bacteria such as Aerobactes, from growing. Although generally considered safe to use in everyday life, it does have some potentially harmful properties. For instance, it is flammable and the vapors can cause irritation of mucous membranes such as the eyes. You need to avoid contact with the skin as it can be irritating to the skin. Acetate is an anion that is a monocarboxylic acid that is formed from a chemical modification of acetic acid. The molecular formula of acetate is CH3COO- or (C2H3O2-). The word acetate is also a term that is often used to describe an acetate salt. Acetate has the molecular weight of 59.044 grams per mol and it is classified as an anion and sometimes as a salt when combined with other substances. In fact, some salts that are acetates are able to dissolve in water. Many of the properties of acetate will be influenced by what other substances they react or combine with, which means they may or may not be flammable, for instance. The way that acetate can be made is to combine a particular substance with acetic acid. Several different types of acetates can be formed depending on what substance is combined with acetic acid. There are living organisms such as methanogenic bacteria of the genus Methanosarcina that are able to make acetate when grown on certain substrates such as trimethylamine or when cultured on a methanol substrate. Acetate is a useful substance when combined with other substances. In fact, ethyl acetate can be used for electroplating and for removing varnishes or paints. Cellulose acetate can be used in the manufacture of eyeglasses, and in the past, was also used in photographic film. In the natural world, acetate is used to make fatty acids. How hazardous the acetate is depends on what substance it combines with. For instance, ethyl acetate is a flammable substance. On the other hand, when cellulose is combined with acetate a non-flammable material is produced. Difference Between Acetone vs Acetate? An acetone molecule is a ketone which has the formula CH3COCH3. Acetate is an anion that has the formula CH3COO-. Acetone has a molecular weight that is 58.07 grams per mol. The molecular weight of acetate is 59.044 grams per mol. The acetone is classified as being a type of ketone, while the acetate is classified as being a type of anion. There are two methyl groups found in the acetone molecule. There is only one methyl group found in the acetate molecule. There is only one oxygen atom present in the acetone molecule. There are two oxygen atoms found in the acetate molecule. 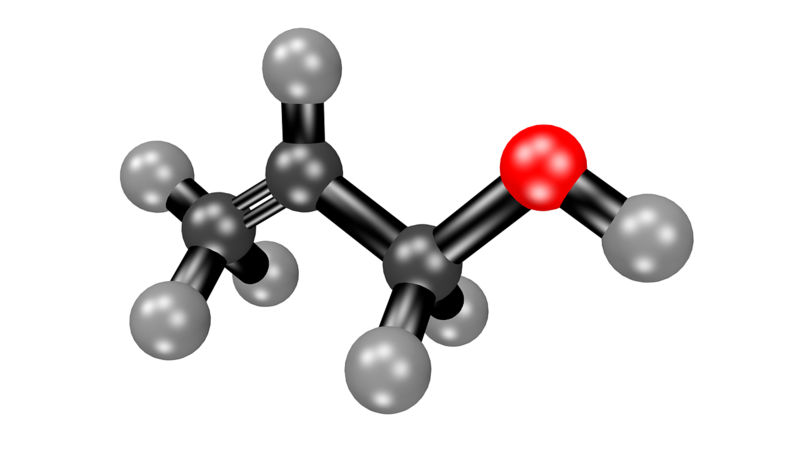 Acetone is made industrially by a method that is called the cumene hydroperoxide method. Acetate is made when acetic acid loses a proton, and acetate ions are often combined with other substances to form salts. The formation of acetone in humans occurs by the catabolism of fats which results in the production of ketones. The formation of acetate does occur in the living world, with some living organisms, such as methanogenic bacteria, able to make acetate in their cells. Acetone smells most like fruit, while acetate can smell sweet or like glue. There are many uses for acetone such as for stripping paint or lacquers and taking off nail polish. The uses for acetate include removal of varnish or paint from surfaces and also for making photographic film. Acetate is also often used in the electroplating industry. Acetone is a ketone that is commonly used in nail polish remover and even as a paint stripper. Acetate is an anion which can also be used to remove paint from surfaces and is commonly combined with molecules to form other useful substances. Acetone is a flammable substance with a fruity smell. Acetate is sometimes flammable depending on what substances it is combined with. Dr. Rae Osborn. "Difference Between Acetone and Acetate." DifferenceBetween.net. April 11, 2019 < http://www.differencebetween.net/science/difference-between-acetone-and-acetate/ >. Dagley, S., E. A. Dawes, and G. A. Morrison. "Inhibition of growth of Aerobacter aerogenes: the mode of action of phenols, alcohols, acetone, and ethyl acetate." Journal of Bacteriology 60.4 (1950): 369. Westermann, Peter, Birgitte K. Ahring, and Robert A. Mah. "Acetate production by methanogenic bacteria." Appl. Environ. Microbiol. 55.9 (1989): 2257-2261.